"Allan Manford had a burning ambition to invest in the U.S. in a way that the average Canadian could participate." 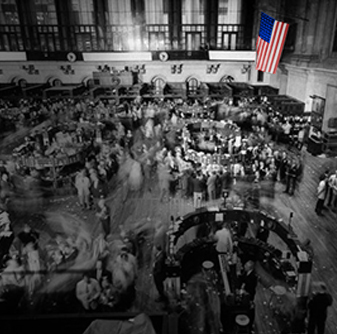 AGF’s American Growth Fund was the first fund to invest solely in the U.S. – while the U.S. had undoubtedly been the world’s dominant economy since at least the end of the First World War, its attractiveness as a place to invest would not have been entirely clear to Canadians. AGF takes its name from the initials of the American Growth Fund, created in 1957 and the first mutual fund in Canada to invest solely in U.S. equities. 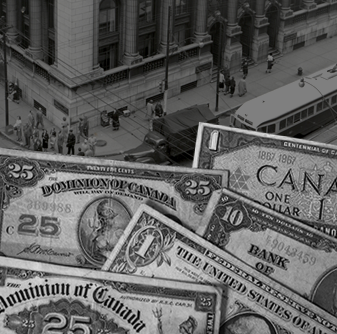 In 1957, Registered Retirement Savings Plans (RRSPs) were introduced to allow individuals to have a personal retirement savings plan that provided the same tax advantages enjoyed by those with a pension plan. The Globe and Mail, Apr. 15, 2009. Before starting AGF, Warren Goldring worked as an analyst reviewing foreign investment opportunities and spent 16 years at a brokerage firm. His specialty was bond and fixed-income investing. Mr. Goldring was appointed president of AGF Management Limited in 1973 and CEO in 2001. In 1983, he assumed the office of chairman of the board and, when he retired in 2006, the role of honorary chairman. A leader and visionary in the investment and business community, Warren served as head of two major industry groups, the Investment Funds Institute of Canada (IFIC) and the Toronto Society of Financial Analysts - and in the 1960s, was part of an Ontario Attorney-General's committee that drafted much of today's securities regulation. He was also the author of two guides to investing published by Maclean Hunter. 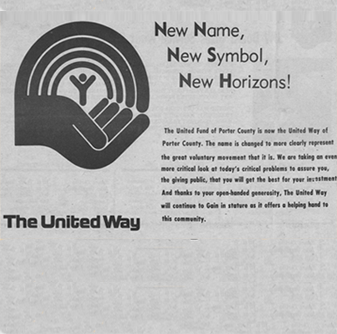 AGF’s culture and ongoing commitment to community giving finds its roots 60 years ago with support for the United Way. Dr. C.C. 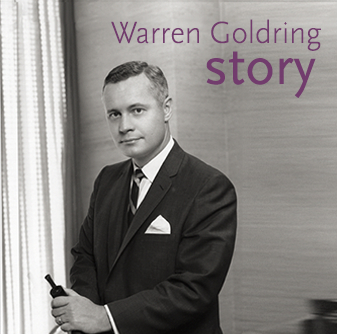 Goldring, Warren's father, was on the first board of directors for the United Community Fund, which was created in 1956 and later became known as the United Way.